Potty training chart. 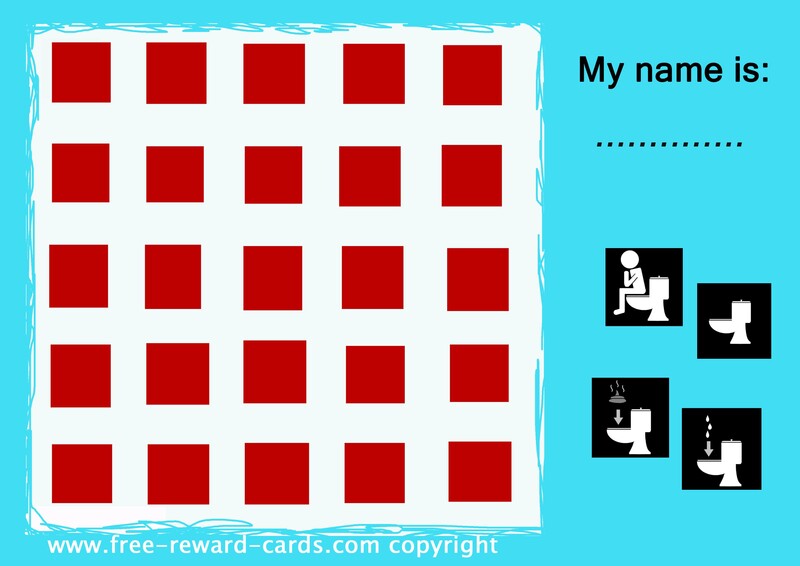 This reward card supports the potty training so that children are more motivated to learn to go to the toilet, toilet training. All these reward charts are free printable via www.free-reward-cards.com. The cards are ment to make parenting more fun and easy for parents and children.